In the Reiki healing classes you will learn how you can take control of your own healing and the healing of your loved ones with this amazing method. 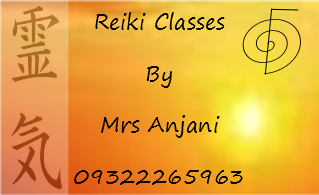 I was very curious about Reiki before taking the class and what I discovered after learning Reiki, changed my life completely. I was touched by the difference Reiki makes in our life. After finishing my Reiki level 1, 2 and 3, I took the Reiki Master degree and decided to dedicate the rest of my life in teaching this cost effective, safe and natural method of healing. It is not only a healing method but a way for self development and transformation. Reiki works on all levels and heals you holistically. This Japanese word which literally means Divine Energy is a method to activate the flow of energy to relax, heal and maintain good health. 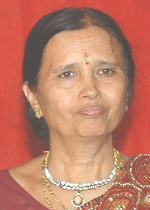 Reiki is safe and simple method of self realization and self growth. During your Reiki healing classes this energy is activated in your chakras and then the flow of Reiki energy is increased. With regular practice the energy flow keeps increasing and brings positive results in various areas of life. The Reiki healing class agenda includes theory, Reiki Attunement, exercises and practice. You can call us to schedule your Reiki healing class. Now, begin your journey on this spiritual path. You can discuss your purpose for learning Reiki so we can customize the class to address your goals in life. At some point people do feel as if they are being guided from within to learn Reiki healing. 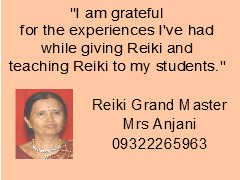 I believe that you are automatically guided to your Reiki Teacher once you are ready. Many people have this experience. I am blessed that I have had the opportunity to guide so many people on the path of Reiki and grow spiritually with good health and good life. To schedule your class call us on 9322265963.